After completing my MBA, I plan to return to the country of my birth, Georgia, and work towards improving its economy and financial sectors. Georgia is an emerging country that has struggled since the end of the Soviet Union. While there has been some progress, there is certainly room for improvement. Both my long and short-term plans are working towards Georgia’s business and economic success. Growing up with very limited financial resources in a small village outside of Gory, I understood the importance of both education and financial savvy. Those who were smart and worked hard lived comfortably while those who did nothing to improve their situation suffered. I decided from a very young age that I wanted to be in the former category. As such, I decided to study in the Economics Department at Tbilisi State University in our nation’s capital. It was there that I founded my own small business of selling used textbooks to students at marked-down prices. In addition to running my small-time book store, I completed several internships throughout the academic year and summer terms at the Bank of Georgia. There, I learned how the Georgian economy works and how I could improve it. Currently, I am an Assistant Economics Advisor at the Bank of Georgia. 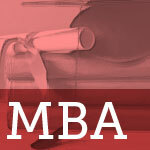 However, in order to be considered for a higher position, I must have a MBA from a reputable university. Immediately after I complete my MBA, I plan to continue working at the Bank of Georgia and to climb the ranks. Later, I hope to enter into politics so that I can make policies that will improve Georgia’s economy further in non-urban areas. These are places that need economic diversity the most. With a MBA from your esteemed university, I can see all of these long and short-term goals as imminent possibilities.